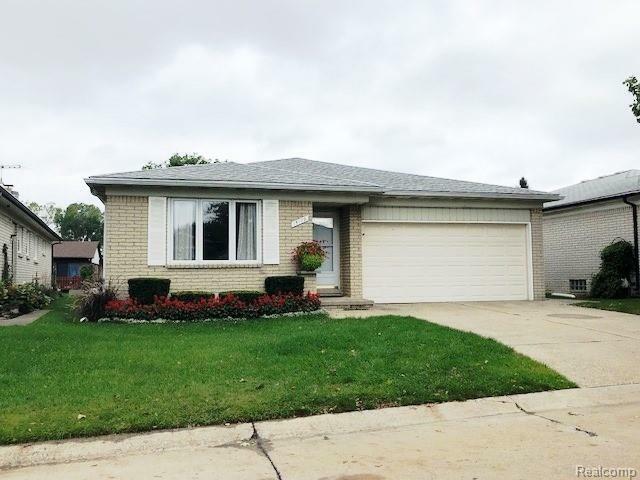 Like new detached brick ranch condominium featuring two large bedrooms and two full baths, almost 1500 square feet, at Heather Ridge Estates (12 Mile and Hayes Road area). Hardwood flooring throughout, open floor plan, with beamed cathedral ceiling in living and dining areas. Updated kitchen with granite counter tops, tile back-splash and newer appliances. Private fenced backyard with patio off great room. Newer roof, furnace, tank-less water heater and windows. Occupancy at closing. Condo fees cover snow removal, lawn care and roads. Move in and decorate in time for the holidays! IDX provided courtesy of Realcomp II Ltd., via Coldwell Banker Weir Manuel-Gpf and Realcomp, ©2019 Realcomp II Ltd. Shareholders.